Shiva is Shakti, Shiva is power, Shiva is the destroyer? a fierce God who transcends good and evil. He evokes awe and absolute worship in his devotees. In Shiva his devotees see the complete cosmic masculine force, residing in each of us as pure consciousness. The dissolving force in life, he does so in order to create, since death is the medium for rebirth. Thus the opposites of life & death and creation & destruction both reside in his character. Known by many names ? Mahadeva, Mahayogi, Pashupati, Nataraja, Bhairava, Vishwanath, Bhava, Bhole Nath ? Lord Shiva, the supreme ascetic, represents the energies necessary for life on every level of existence in this universe. Here is an album that presents a complete tribute to the Lord of Time ? Kal Bhairav? through renowned stotras and mantras that pay homage to every facet of this supreme being! Come let us all pray to the Supreme Lord? one of the Divine Family? Lord Shiva!! 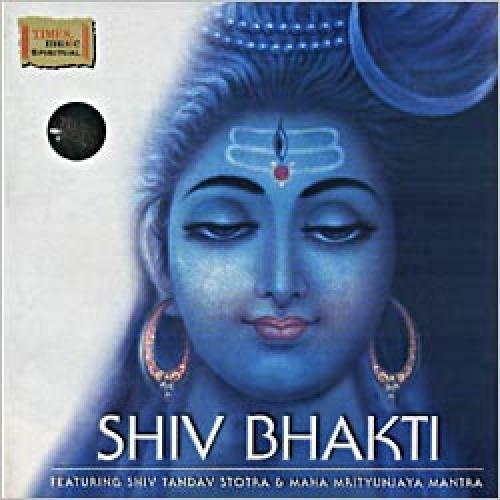 Shiv Bhakti is an album that attempts to present a complete tribute to Lord Shiva through renowned stotras and mantras that pay homage to every facet of this supreme being!